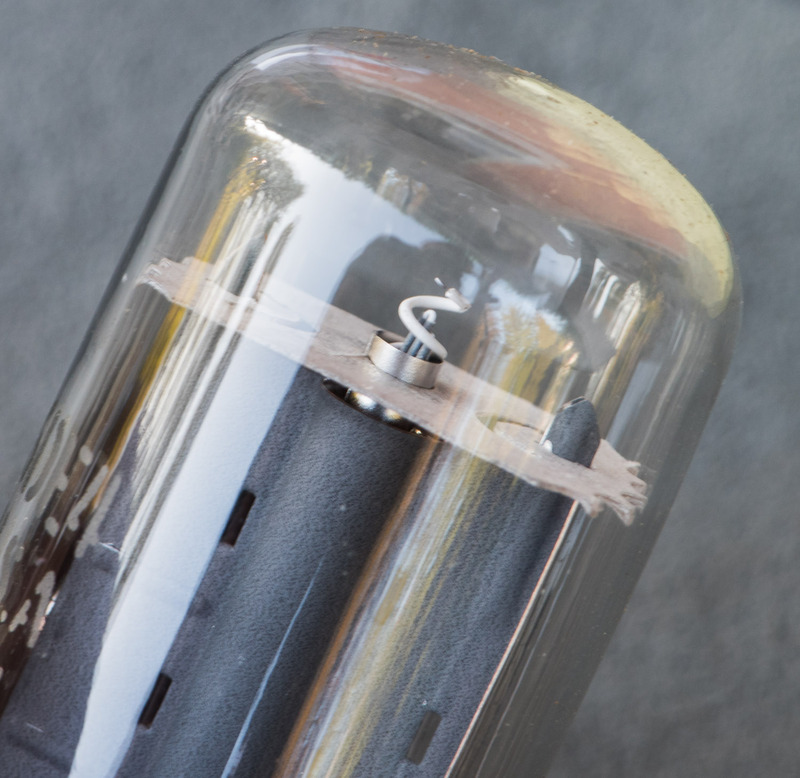 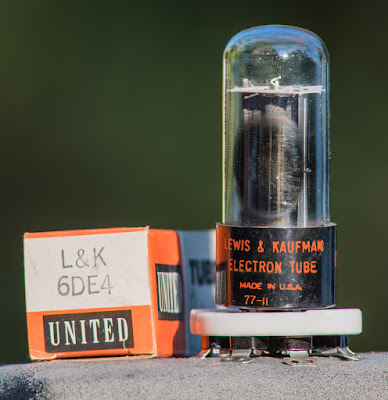 For this months tube presentation I dug out another TV damper variant. 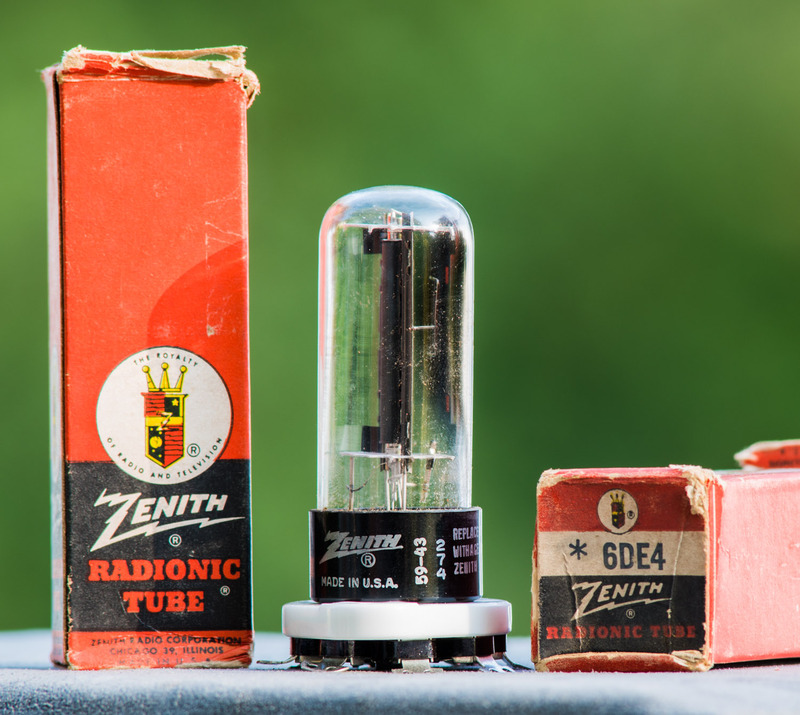 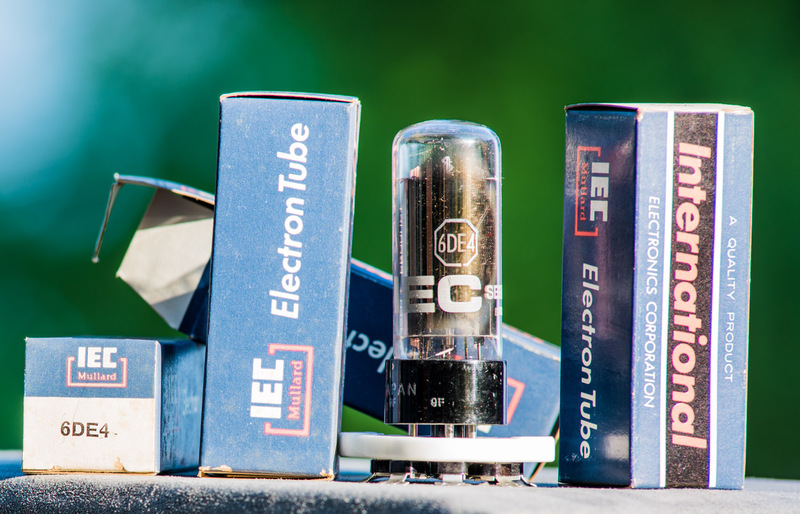 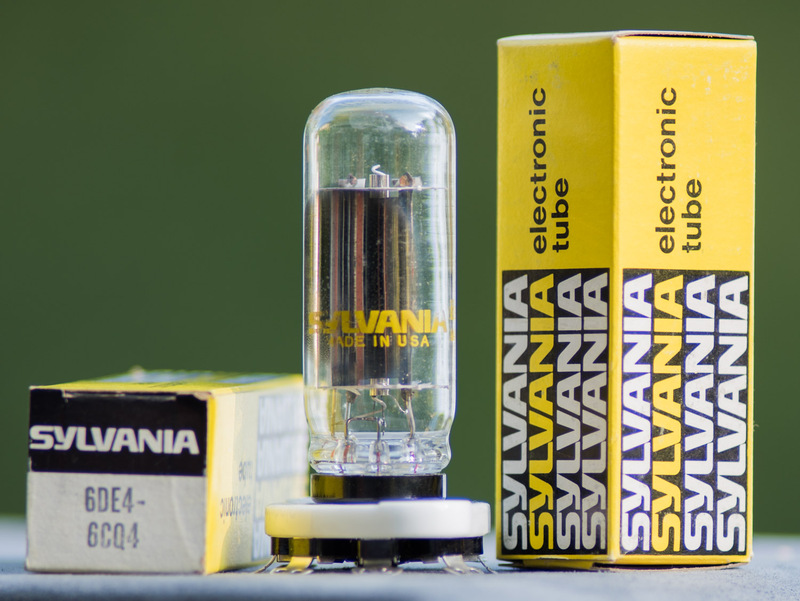 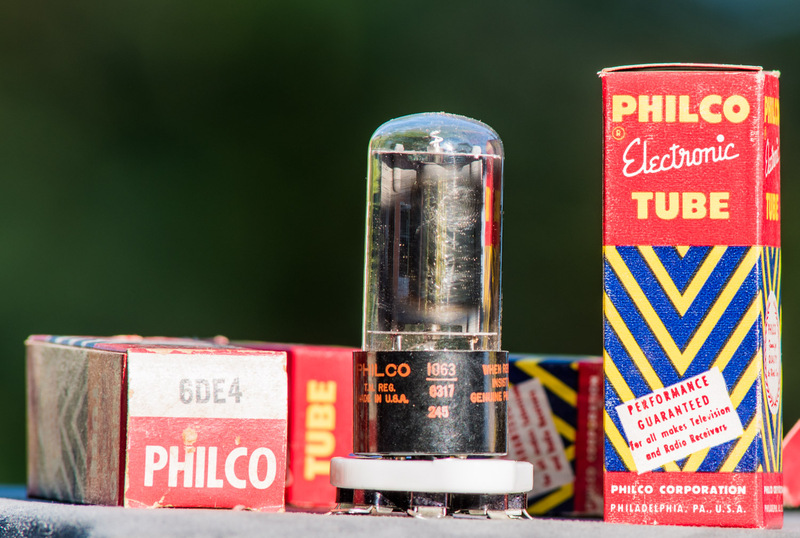 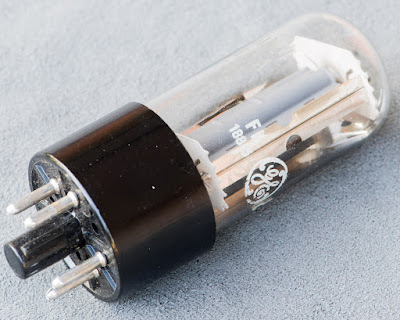 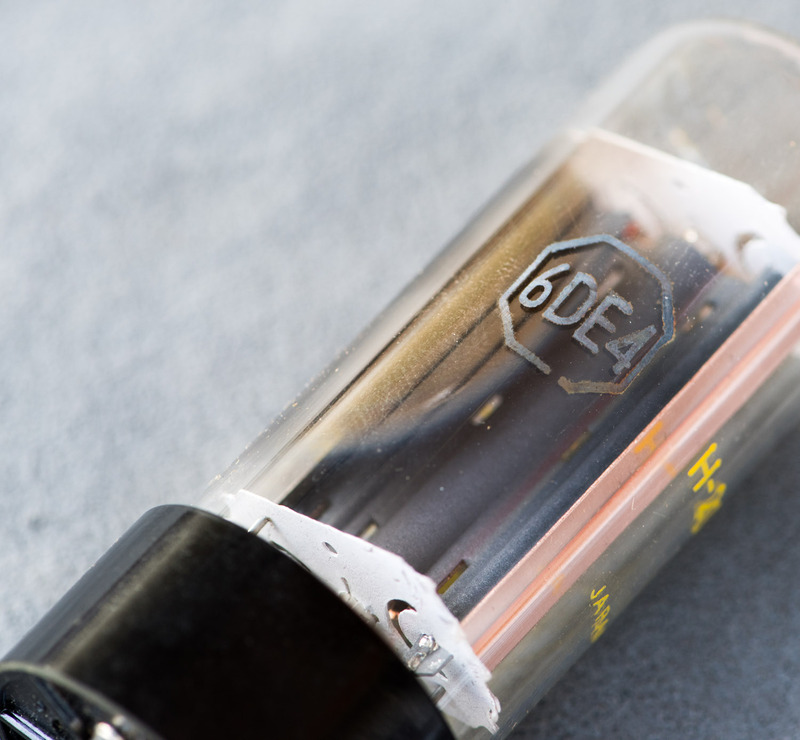 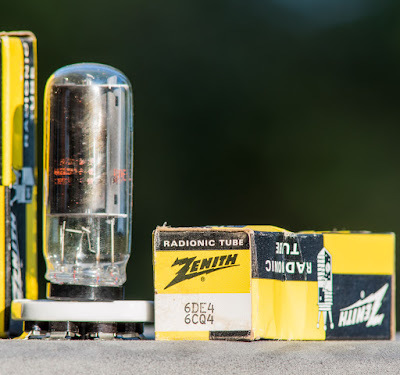 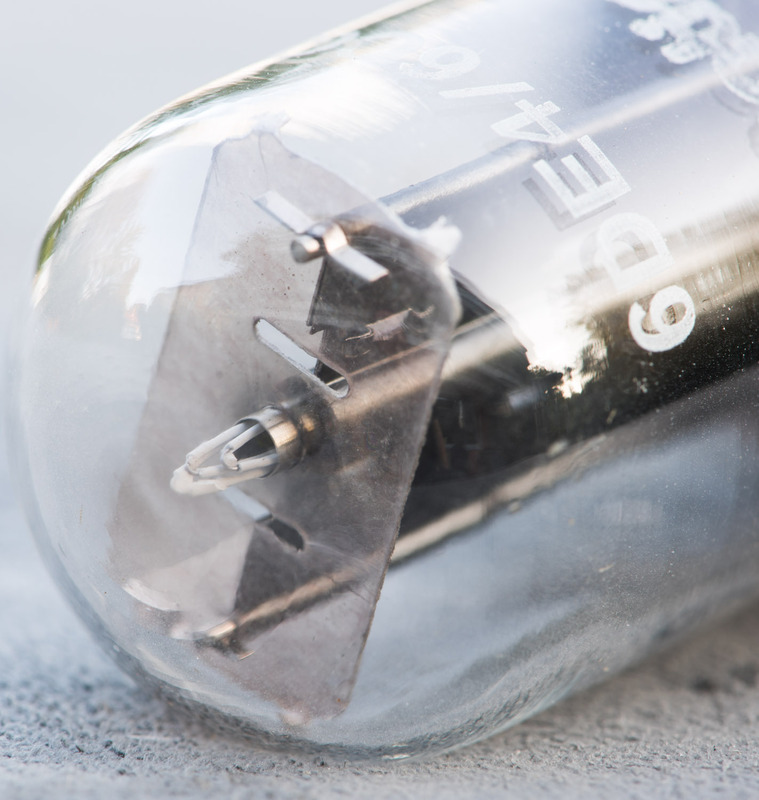 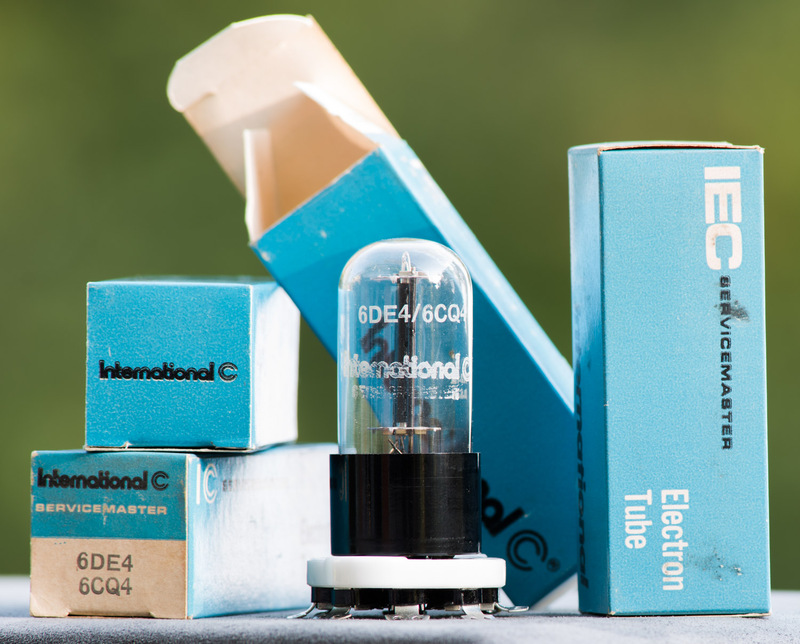 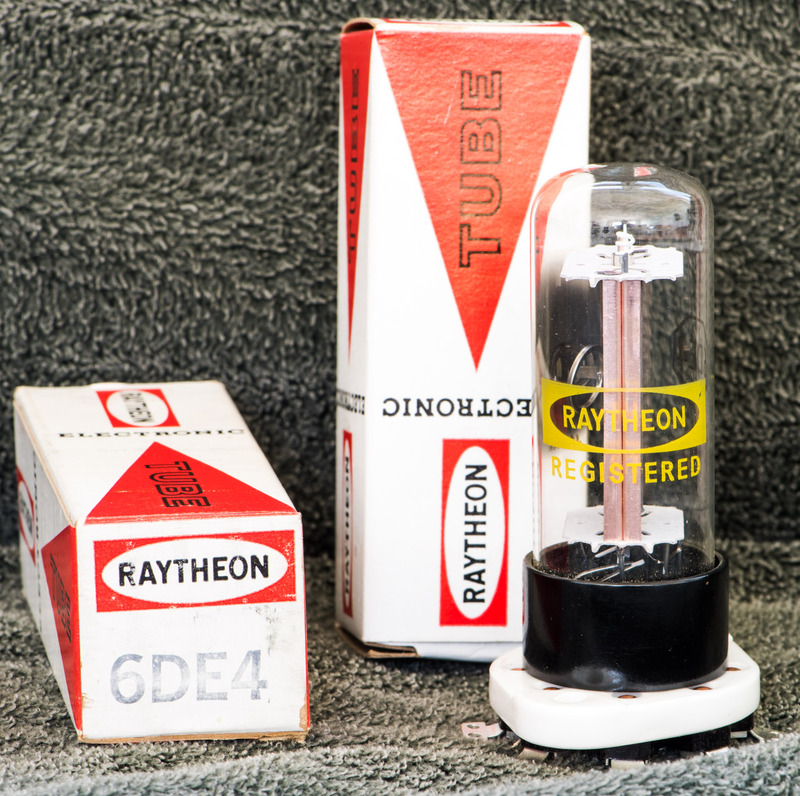 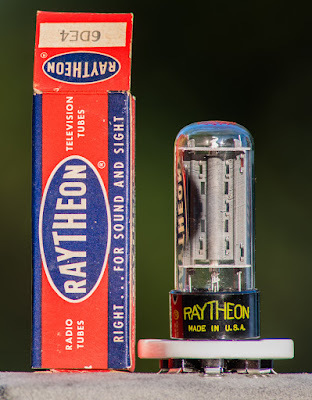 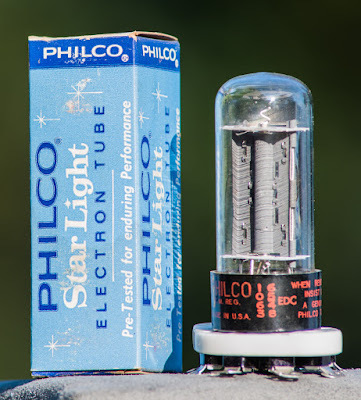 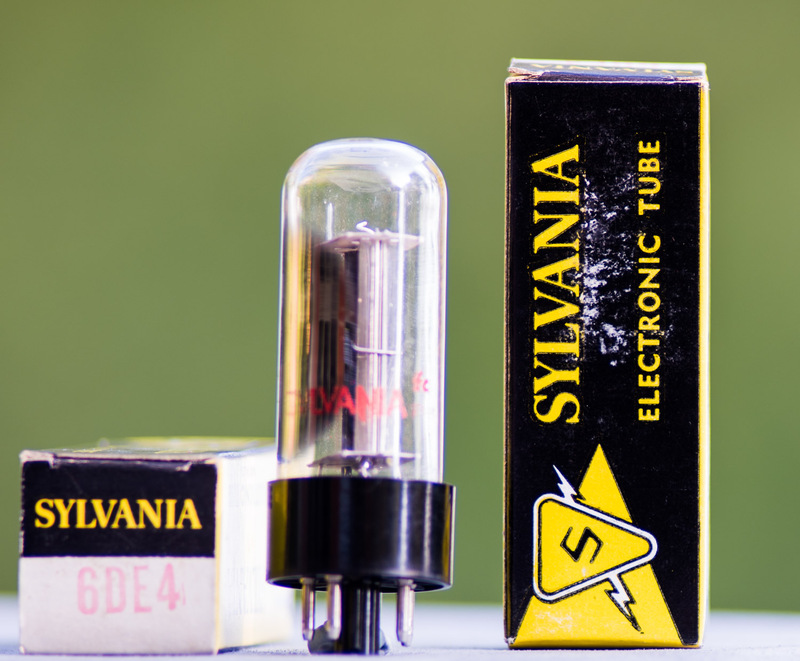 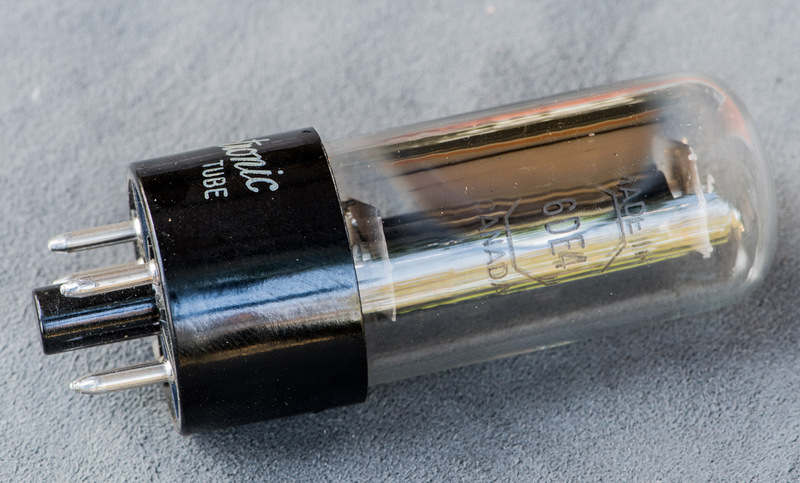 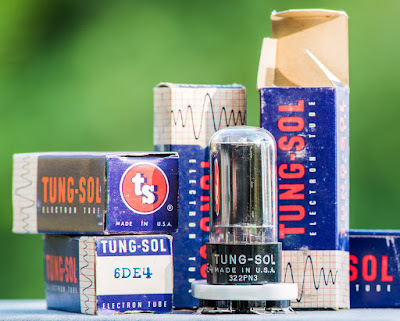 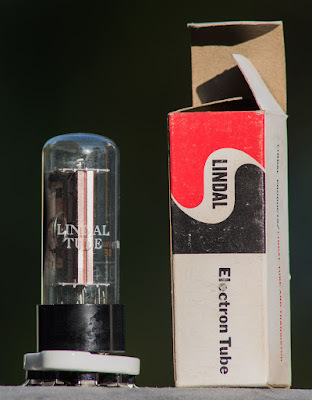 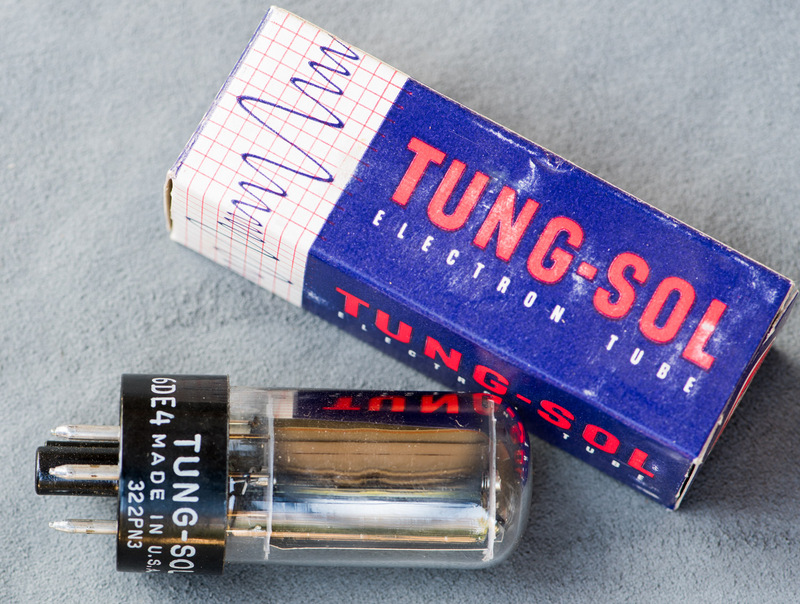 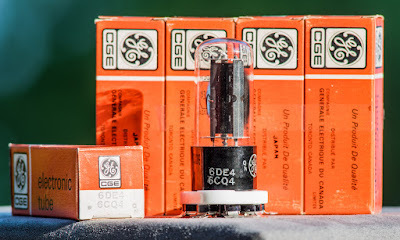 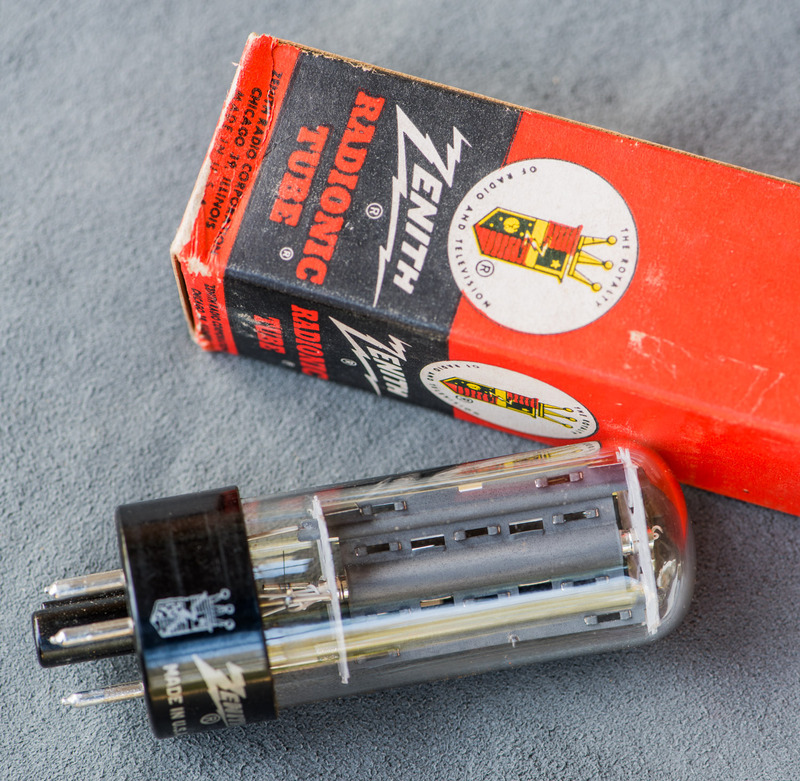 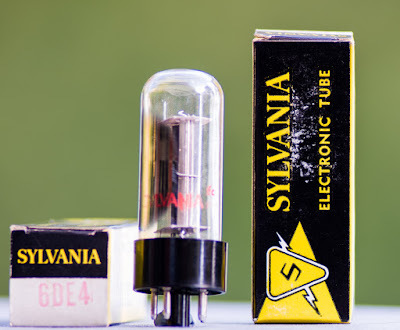 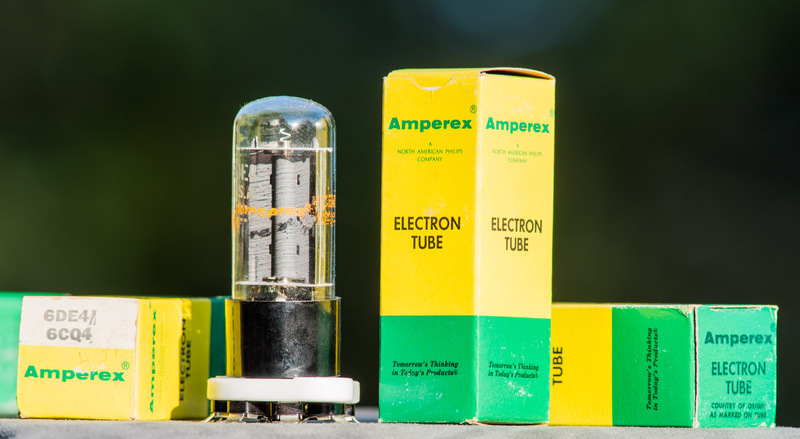 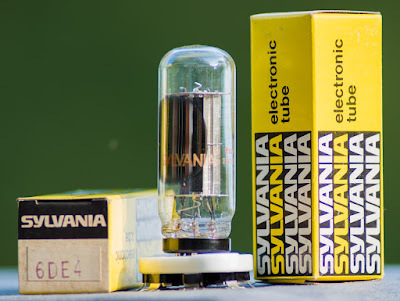 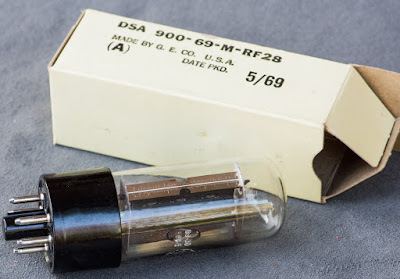 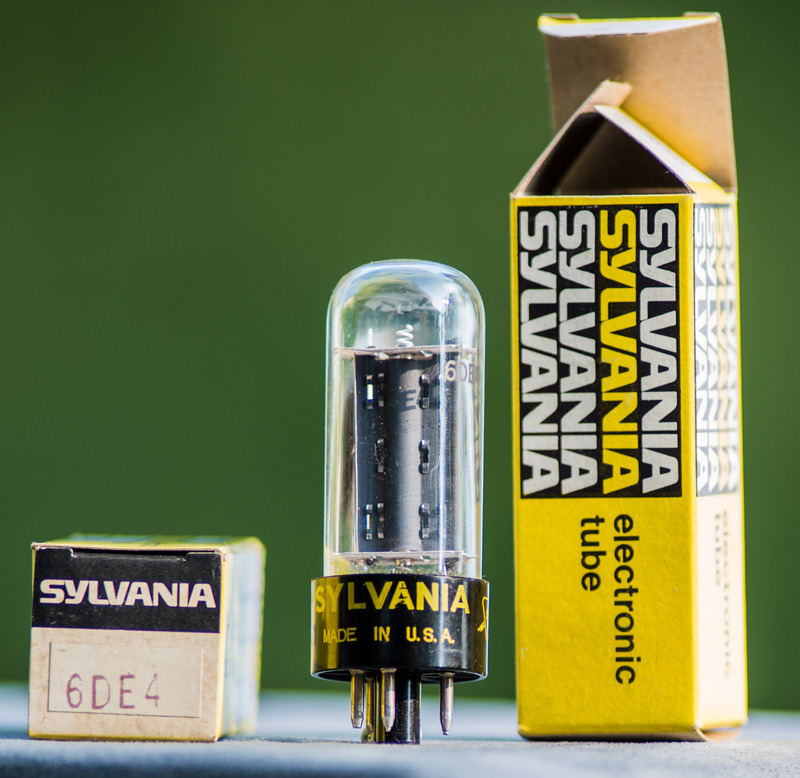 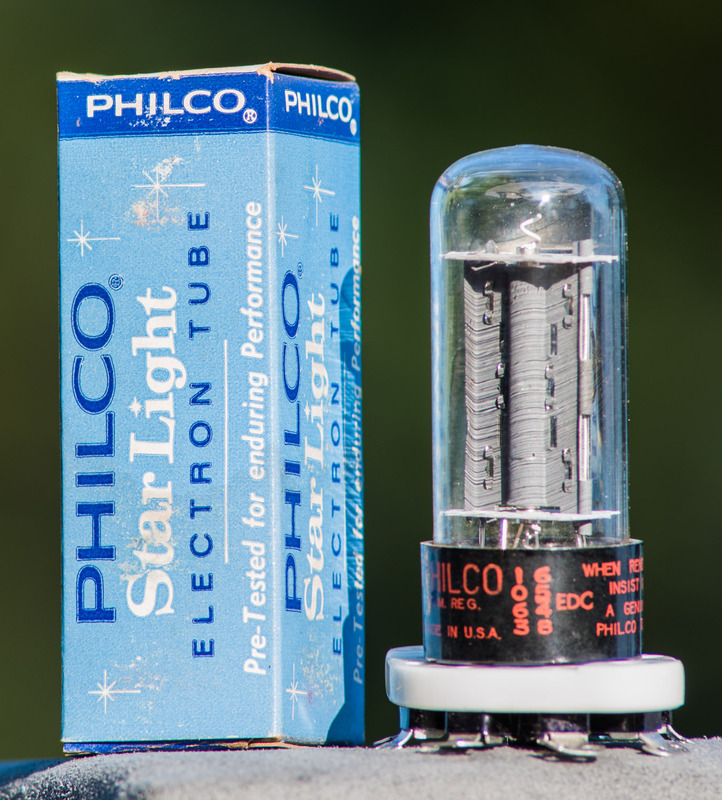 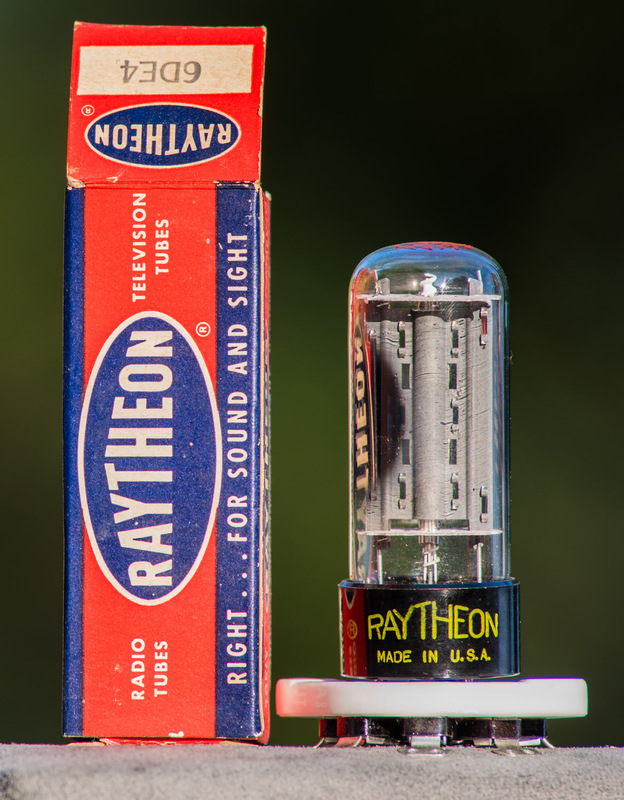 As readers of my blog know, these are my favourite tubes for power supply rectification. 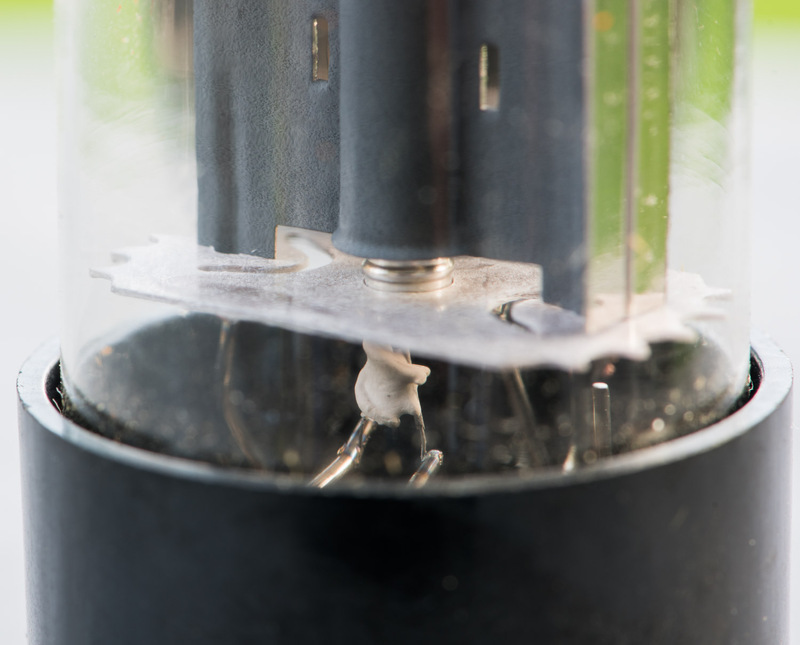 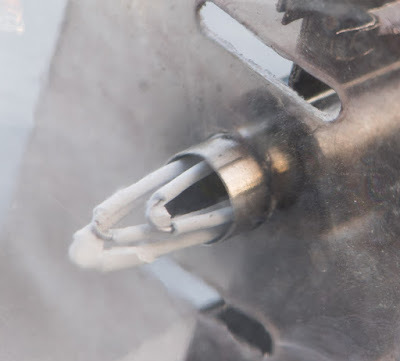 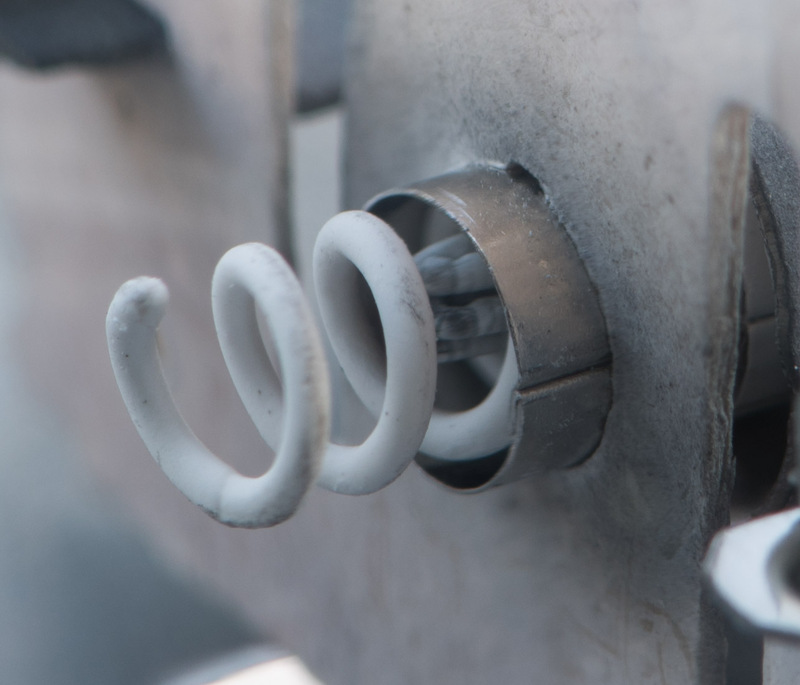 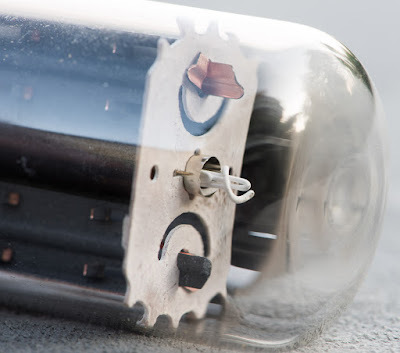 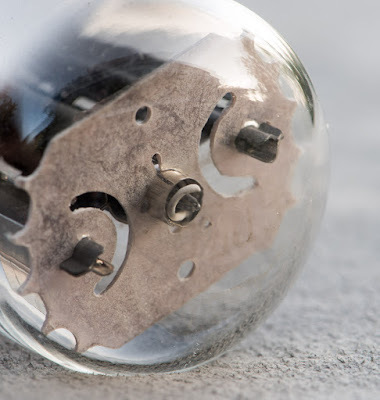 TV dampers are still largely overlooked and deserve more attention. 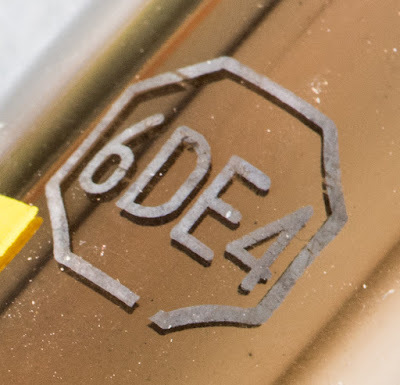 So lets have a look at the 6DE4. 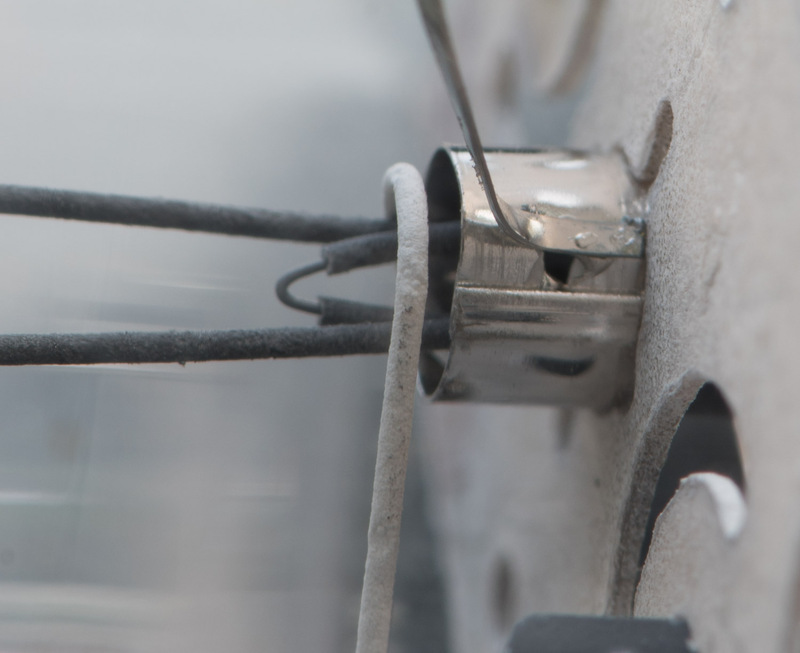 TV dampers are very rugged, can withstand high peak inverse voltages, have high current capabilities and generate next to no noise. 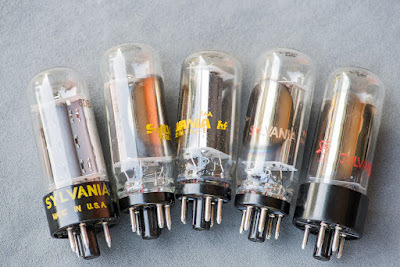 And best of all they are cheaply available in abundance. Since their primary use was for television sets they have been produced in extremely high numbers and were made in a large number of varieties to cover different needs. The 6AX4 is good enough for most audio applications. 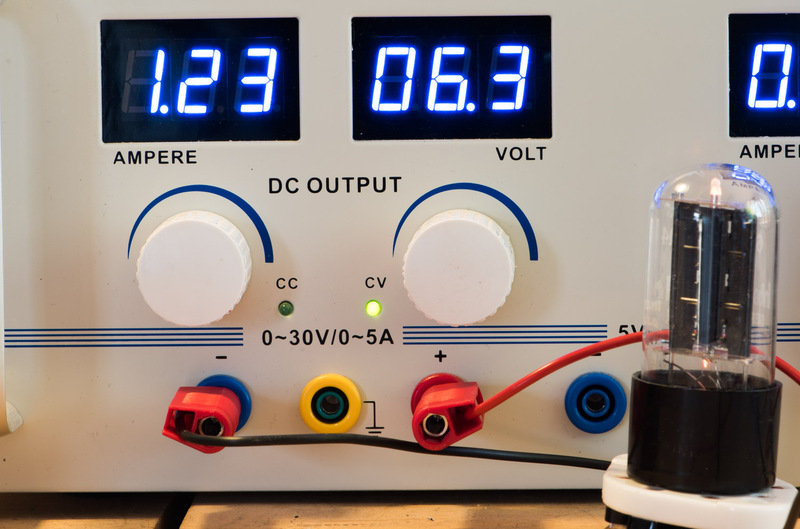 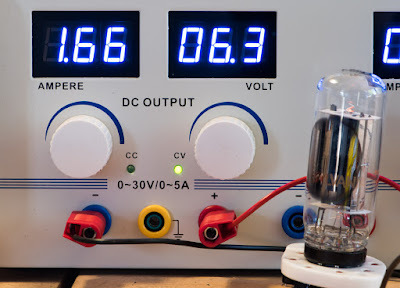 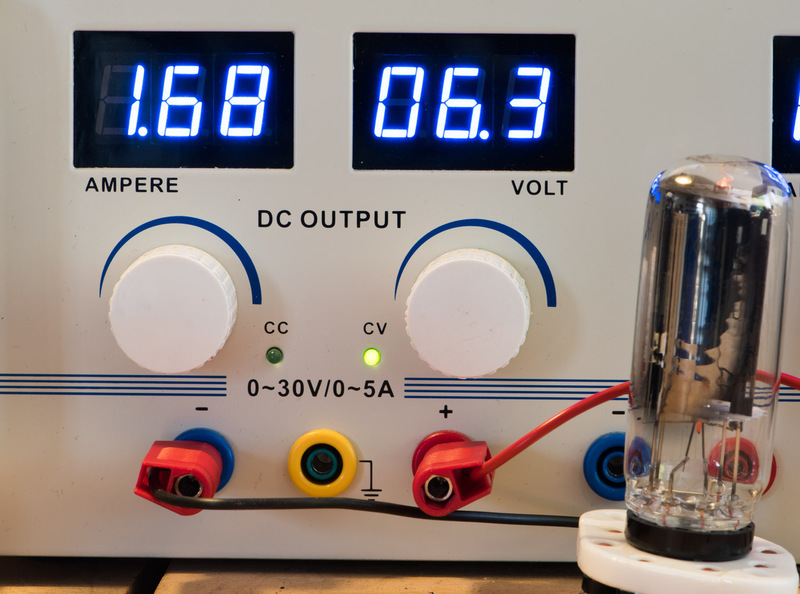 If higher current is needed there are types like the 6AU4, 6CJ3 or 6CG3 and others. 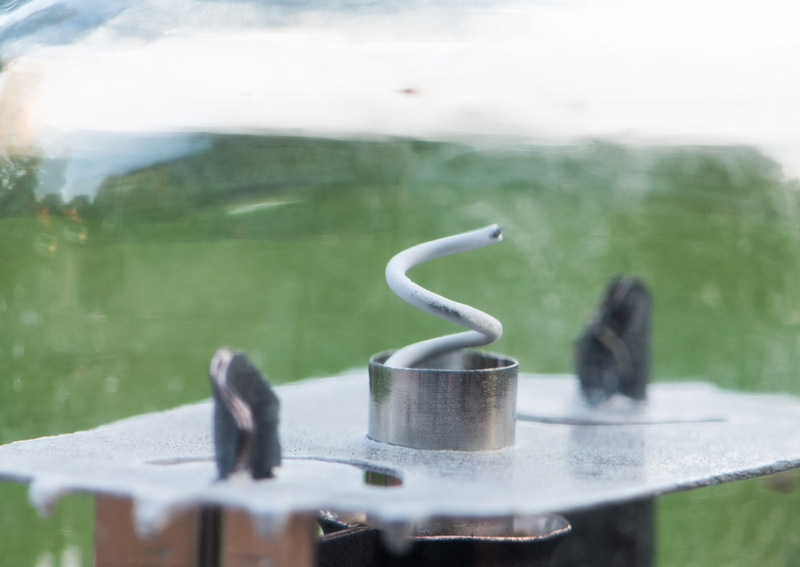 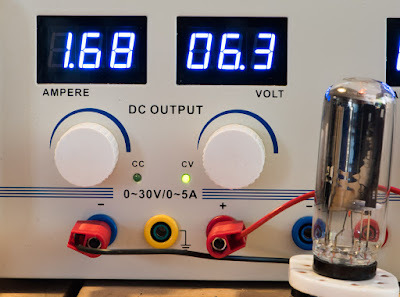 The higher current capability comes at the cost of higher heater power. If something in between the 6AX4 and the 6AU4 is needed, the 6DE4 fits the bill. 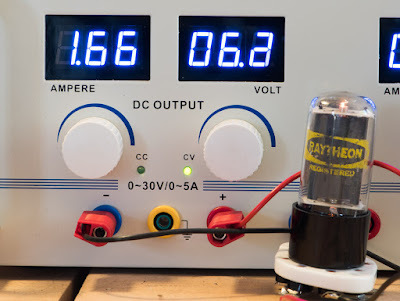 It is a bit beefier than the 6AX4 at a moderate increase in heater current. 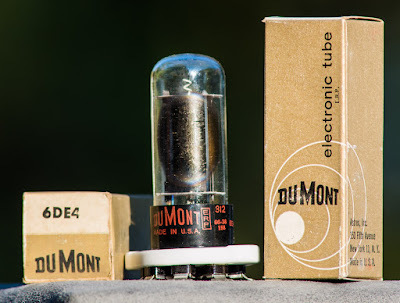 It needs 1.6A versus the 1.2A of the 6AX4. 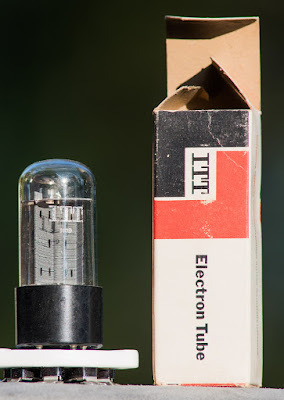 Still less than the 1.8A of the 6AU4. 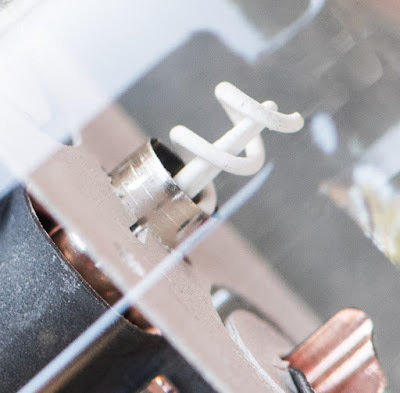 I already covered the principle of operation of TV damper service in the 6AU4 article, so I won't repeat it here. 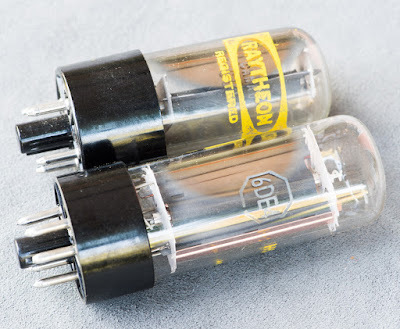 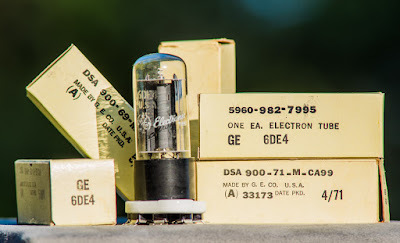 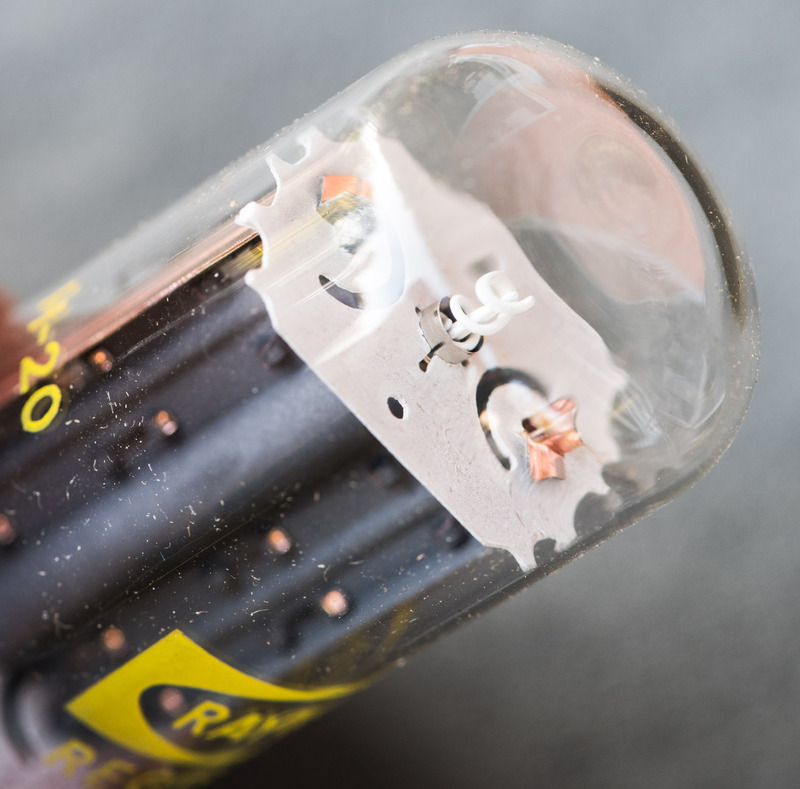 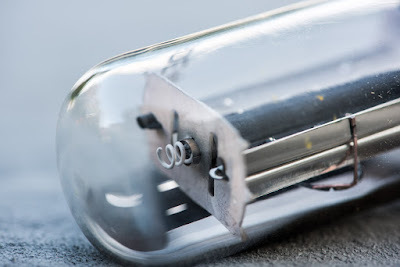 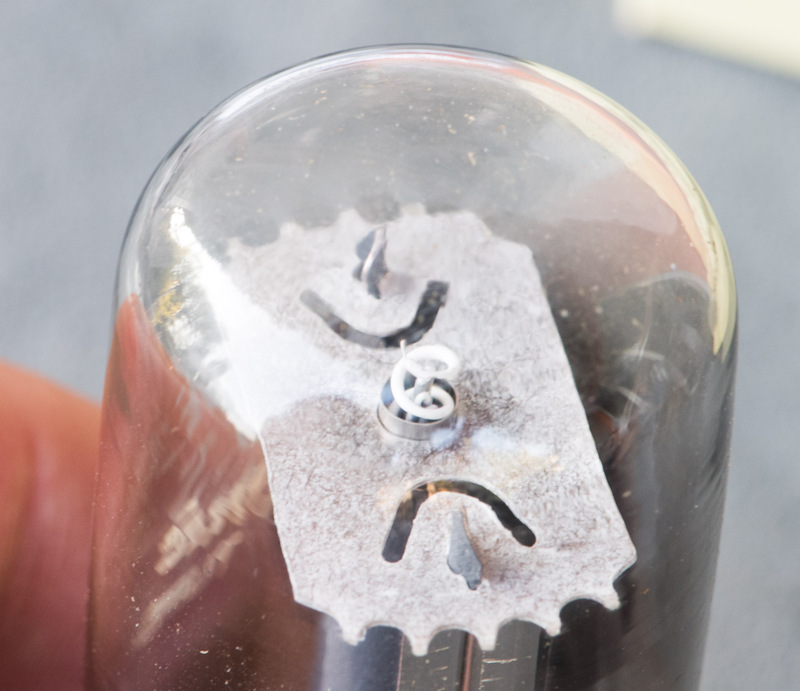 Many tube amplifier builders might see it as disadvantage that two of these are needed for a full wave rectification. 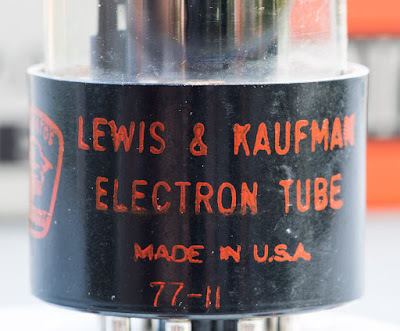 But I think their superiority over classic rectifiers outweighs that. 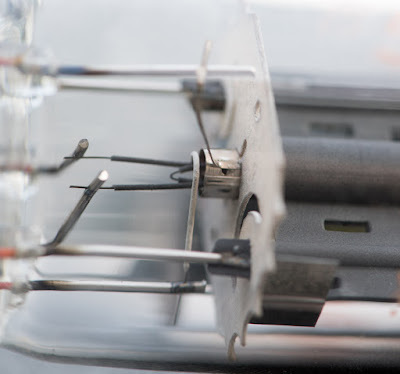 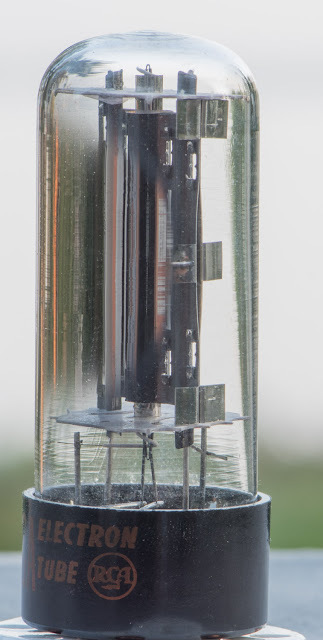 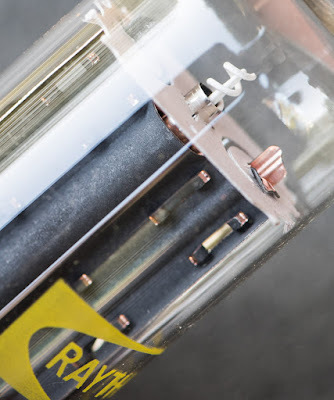 If a full wave bridge rectifier is wanted (as I use in most of my designs) nothing beats TV dampers. For a full set of technical information please refer to the data sheet. During the high time of TV dampers many new types got registered with very similar specs. 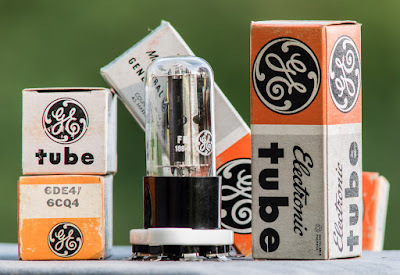 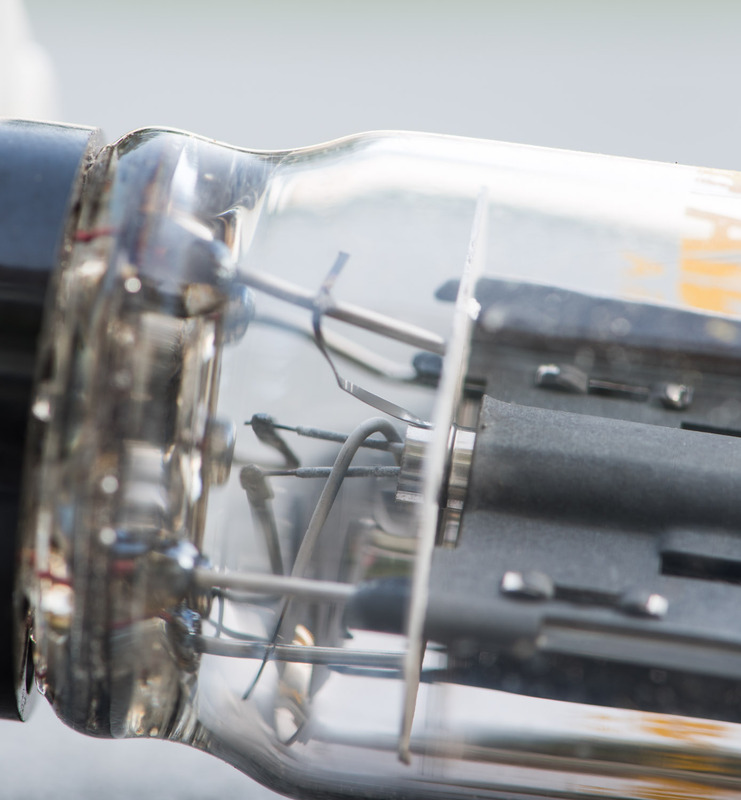 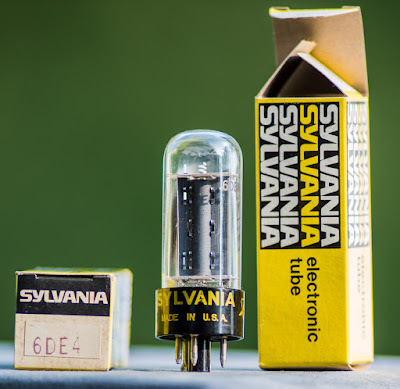 This was maybe because of patent issues or tube manufacturers wanted to push their own types. 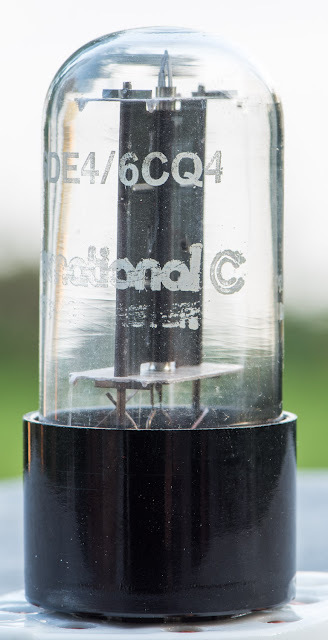 The 6DE4 has an almost similar twin in the 6CQ4 (see data sheet). 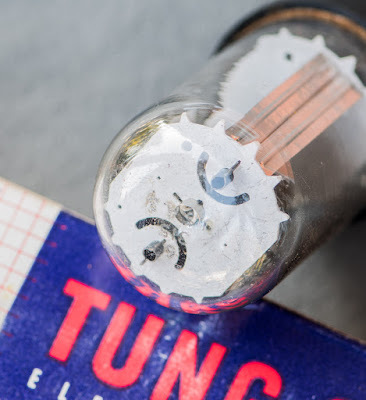 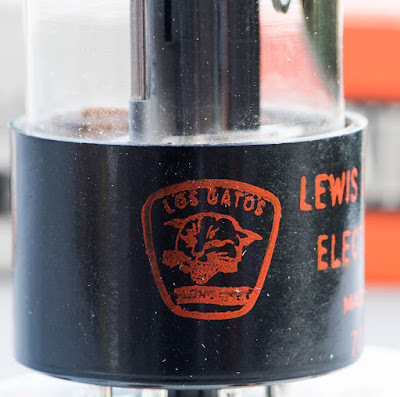 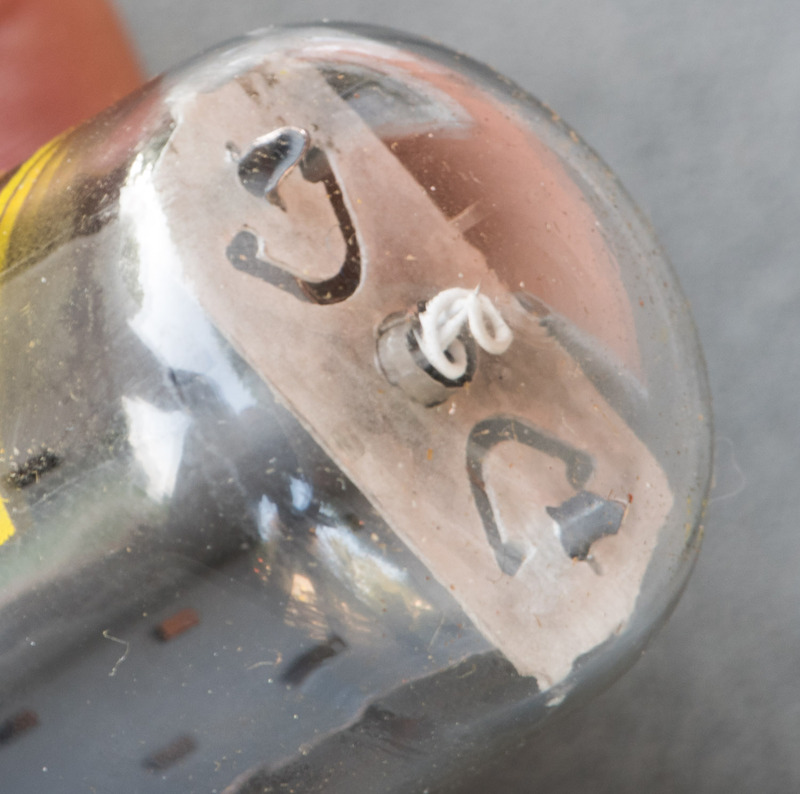 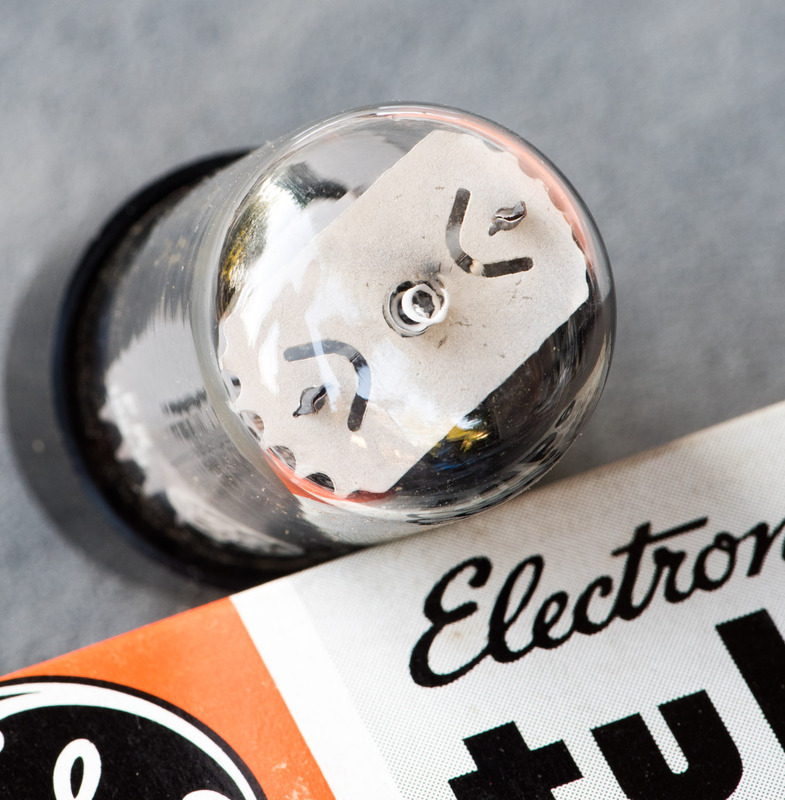 During the end of the tube era it was common practice to stamp tubes with several designations of types which are close. This was also common practice with the 6DE4 which you will often find with both designations. 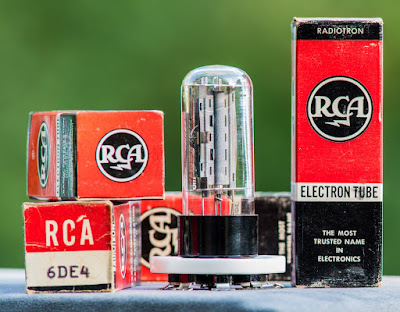 The RCA30 manual even lists them under the dual name. 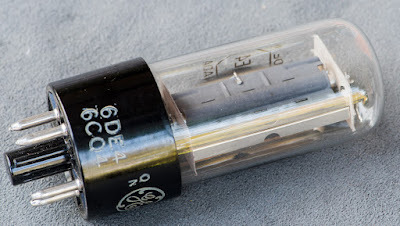 Lets start with some photos of RCA 6DE4s. 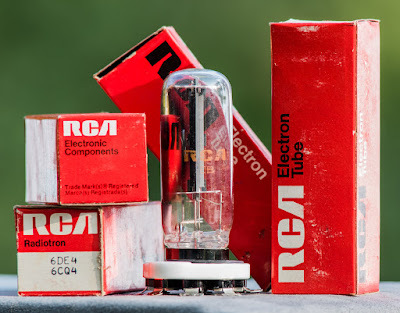 An older type with full base and the classic RCA box. This one apparently made in Japan. 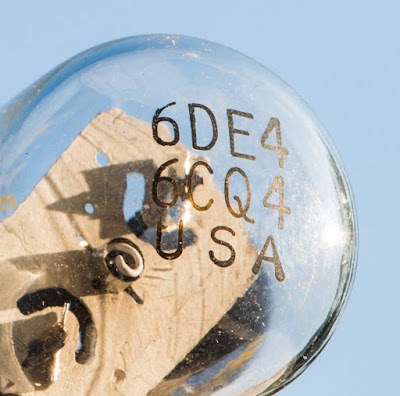 Probably just a 6AX4 labelled as 6DE4! 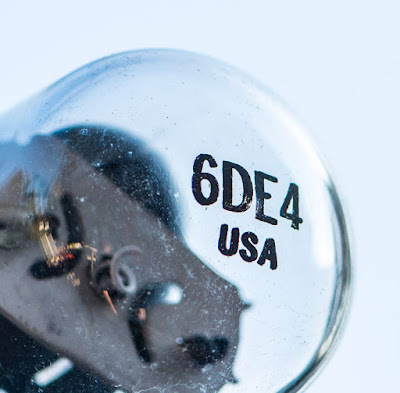 This concludes the presentation of the 6DE4 I hope you enjoyed it. Stay tuned for more TV damper talk in future posts!